abcCorrector ensures your texts are error-free. Mac, PC, Laptop and Tablet. The solution for Spanish students. 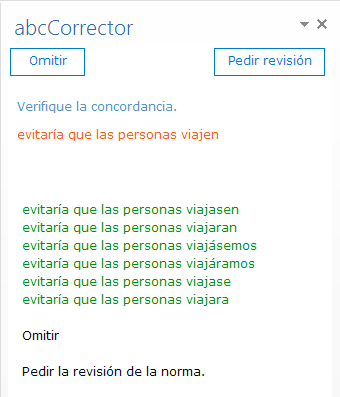 abcCorrector is able to correct the subjunctive mood. The subjunctive mood is one of the most problematic areas for Spanish students. abcCorrector not only detects the error, it provides alternatives too. An essential tool for translators. When our time is valuable. Productivity and efficiency at work, can only be achieved when you have the best tools. Let abcCorrector help you in your work. It makes it easier to write every day better. You just have to visit the web to see that the error is human. If you are a writer, blogger or simply you care how you write. Your grammar checker correct it? abcCorrector allows you to detect up to 4 times as many errors as your existing editor. 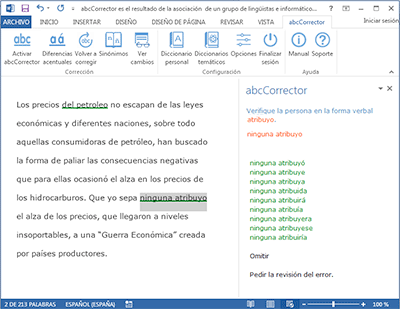 abcCorrector is the result of the partnership of a group of linguists and IT technicians working together with the shared goal of developing the best possible Spanish grammar and spell-checker. The base dictionary contains over 120,000 terms, including toponymy, augmentatives, diminutives, superlatives, adjectivization, etc. The verbs dictionary contains over 7,700 infinitives, along with their simple and reflexive forms. It incorporates dictionaries from different areas, allowing you to select the ones that best suits your needs. Law, medicine, computer, toponymy, etc. 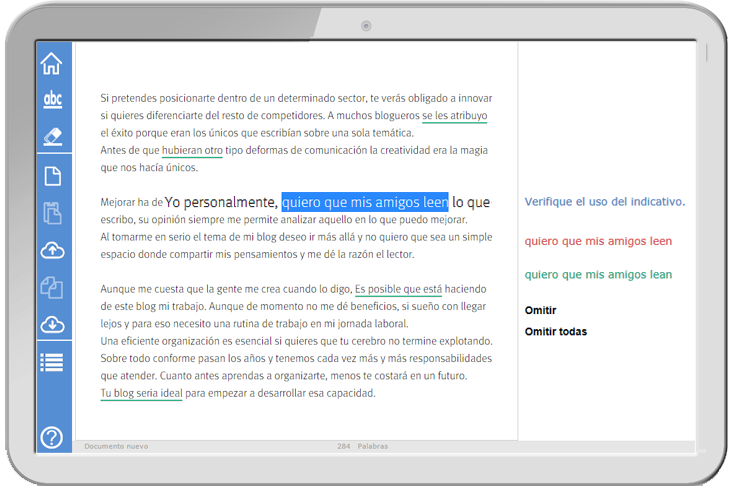 Join thousands of users who already enjoy the best Spanish grammar checker. This website uses its own operational cookies that have a functional purpose and third-party cookies (analytics type) to analyze our traffic. If you continue browsing, you agree to use. You can change the settings or disable them. More information.